CG Says: For 2018, Dodge Challenger adds a new SRT Demon factory drag car that Dodge claims is the world’s fastest quarter-mile production car, with an elapsed time of 9.65 seconds at 140 mph. Dodge also claims a 0 to 60 mph acceleration time of 2.3 seconds. Demon is powered by an 840-horsepower supercharged 6.2-liter V8. Production is limited to 3000 units for the U.S. and another 300 for Canada. All Challenger models now have standard rearview camera and rear parking sensors. 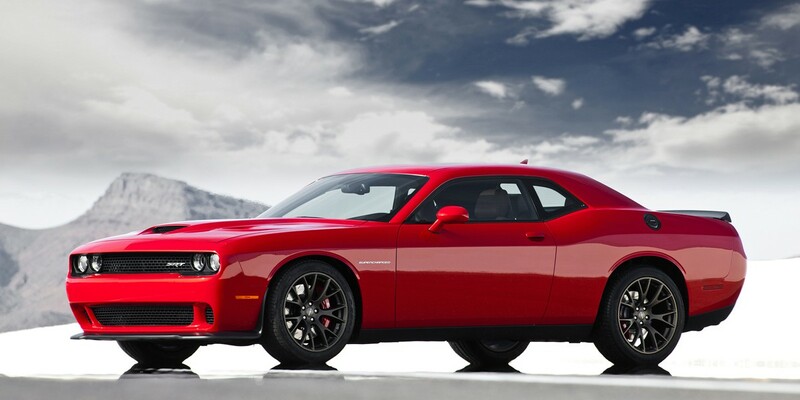 Challenger is an interesting player in the sporty/performance car segment. The big coupe is too big and heavy to be truly agile, but this is still a more-than-capable performance machine. That size does pay dividends in the form of a surprisingly smooth ride and excellent passenger and cargo room. Admittedly, these might not be the first things buyers of these cars put on their wish lists, but this is a good choice if you want something fun that you can also take on a cross-country road trip. Safety features include forward-collision warning, blind-spot alert, and adaptive cruise control. The base engine is a 3.6-liter V6. A 5.7-liter HEMI V8 is the next step up. A 6.4-liter V8 is in “392” models. The ferocious Hellcat model has a supercharged 6.2-liter V8 that puts out a jaw-dropping 707 horsepower. Now, Demon ups the performance ante with an 840-hp version of the Hellcat engine and world-beating performance. The 5.7-liter and 6.4-liter V8s, along with Hellcat offer a choice of 6-speed manual or 8-speed automatic transmissions. The Demon and V6 models are only offered with the 8-speed automatic transmission. All-wheel drive is available with the V6. 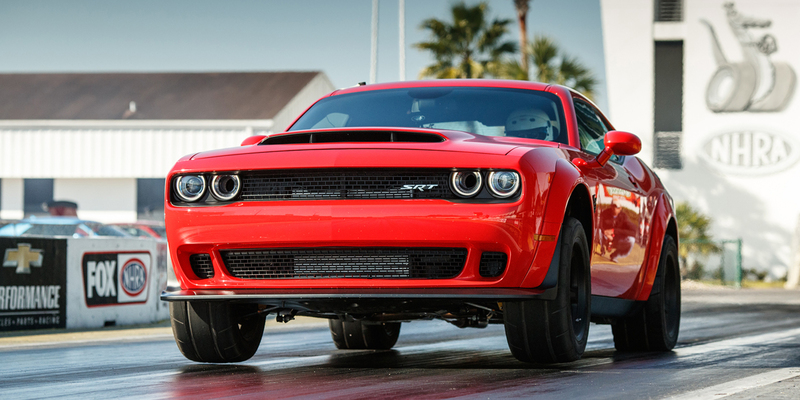 The Demon and Hellcat aren’t cheap, but they’re actually bargains when measured against other ultra-performance cars. There are plenty of sporty coupes that feel more modern and nimble than the Challenger lineup, but few that can match its retro-muscle-car attitude and broad range of performance and appearance options.